This is the post I promised, sorry it’s quite late because I was swimming in assignments recently. The shops I chose to do on in such posts are the ones I personally bought from several times, and had direct personal experience with. Disclaimer, I am in no way related to any taobao shops and writing this post does not gain me anything in monatary value, I am simply speaking from a buyer’s POV. What’s the first shop any cosplayer would mention when they talk about wigs? Yep that’s right, Fantasy Sheep. The shop have an overall rating of 4 crowns(considered REALLY high). 4.8/5 for how similar the actual item is with the description and pictures. 4.9/5 for the shop owner’s attitude while communicating. 4.8/5 for the speed of the delivery of the item. The shop had also signed the agreement to make up for any reasonable mistake if the item turned out to have any problems. And a return policy that will refund you if you return the item in 7 days. For the past 6 months it received 27173 positive reviews, 31 neutral reviews and 6 negative reviews. 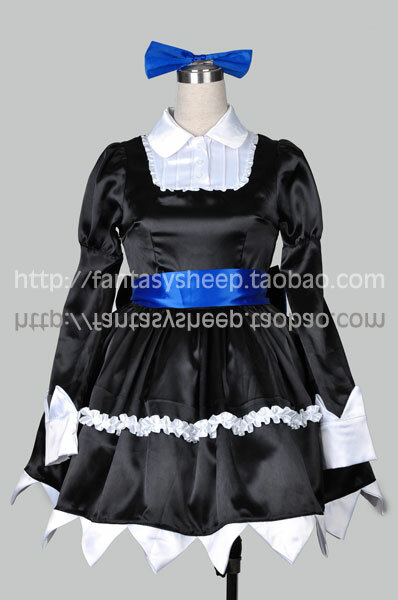 The one thing that made Fantasy Sheep stand out is the wide variety of things they sell, though they specializes in wigs, but they also offer cosplay costumes, make up, wig care products and simply just anything that’s might come in handy for ACG lovers. 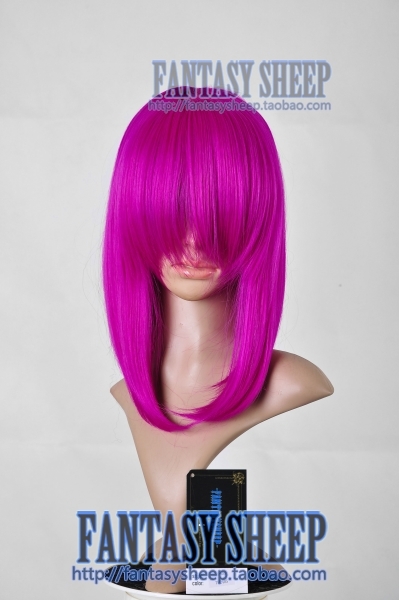 Not too long ago the shop introduced the XSP series, which contain a series of basic style wig and pre-styled wigs of varying length, which comes in a specific shades of different colors. You could also check out the leftover of their previously retired SP series, which contains a variety of basic style wigs. 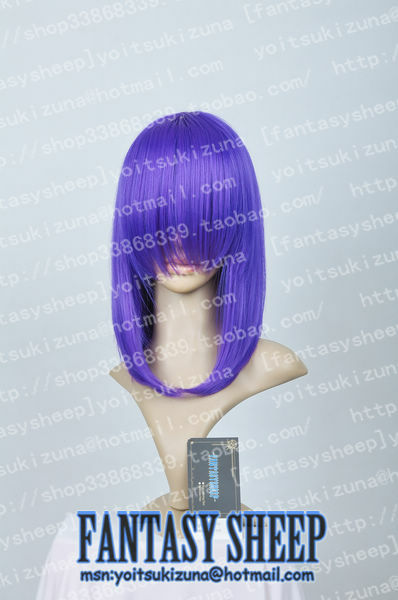 Like most other wig shops, Fantasy Sheep also have a wide variety of wigs that are pre-styled for the popular series that are often cosplayed. What is Fantasy Sheep known for? The thickness of their wigs. Believe me when I say that Fantasy Sheep’s wigs are probably the thickest you can find, however there is a flip side to this. The fibre is usually slightly more rough compared to the other shops. I assume that this is because in order to thicken the wigs they’ll have to use a cheaper fibre. The seller had also explained about why wigs might appear to be of a different color when it reaches you. One other thing I love about Fantasy Sheep is that the net under the wig is big enough to fit almost anyone. The wigs they sell are known to be more expensive than other shops. It’s a bit hard to calculate exactly how much though. 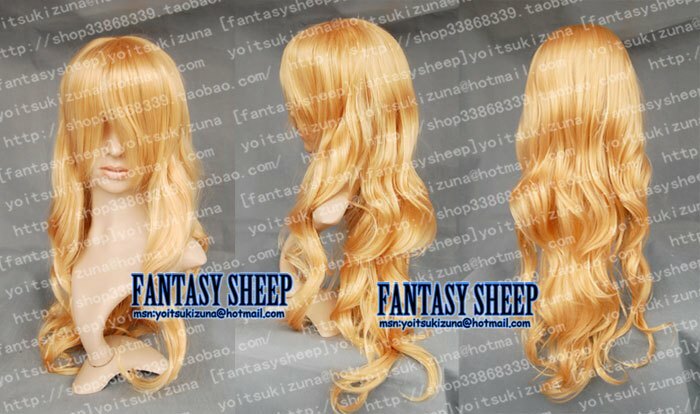 The first wig I bought from Fantasy Sheep is a blonde 80cm curled wig. This wig has rough fibre, it tangles pretty easily and the curls come out after some brushing. 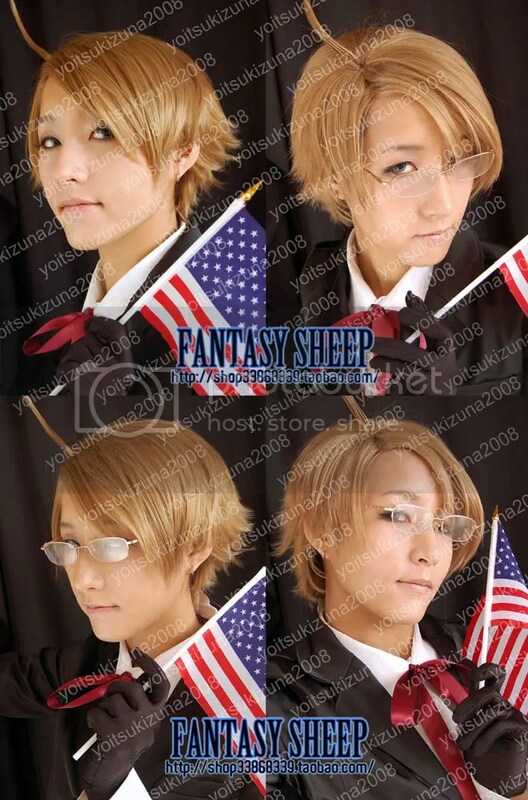 The second time I bought from them it was this American wig that my friend requested. I don’t have an actual real life picture of this wig, but I can tell you I was a bit shocked that the color came at least two shades darker and it became more like brown than blonde. I also helped a friend buy a cosplay costume from them before, Stocking’s default Goth Loli costume, the quality was really good and my friend told me she doesn’t feel warm at all even under the hot sun. After that they had the SP series clearance sale(to make way for the XSP series), and I bought two mid-length wigs which would suit my character. First is the purple one. Surprisingly the fibre is actually the smooth sort, however the wig wasn’t as thick as the blonde one I had gotten. The color, using a lousy Nokia camera. I borrowed the wig to a friend who needed it for a project, and I covered her face in order to protect her identity since she has nothing related to cosplay. As you can see the end part of the left side is flipped, I assume that maybe because of the way I stored these wigs. It doesn’t really affect me because I am going to cut the wig sooner or later. The other wig I bought was dark neon pink, which I have yet to take it out and try, but it’s of the exact same style as the purple wig. The color of the actual wig. I have also gathered some other views I found online about Fantasy Sheep wigs, and I will link them below.